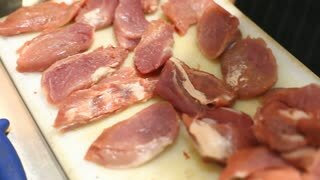 Raw meat on cooking board. Chef holding pepper mill. Preparation of meal in restaurant. 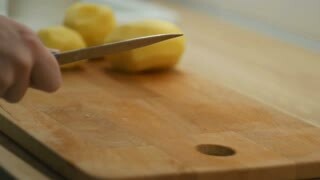 Chef cutting meat in slow-mo. Cooking board and herbs. Learn to cook. 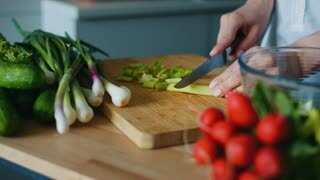 Chef hands prepare fish fillet over cutting board. Food preparation in modern restaurant, sea food. Gourmet cooking concept.